These are Custom made to order VW Key Chains. We stamp your text into each one per your instructions. Please include your text in note to seller at checkout. 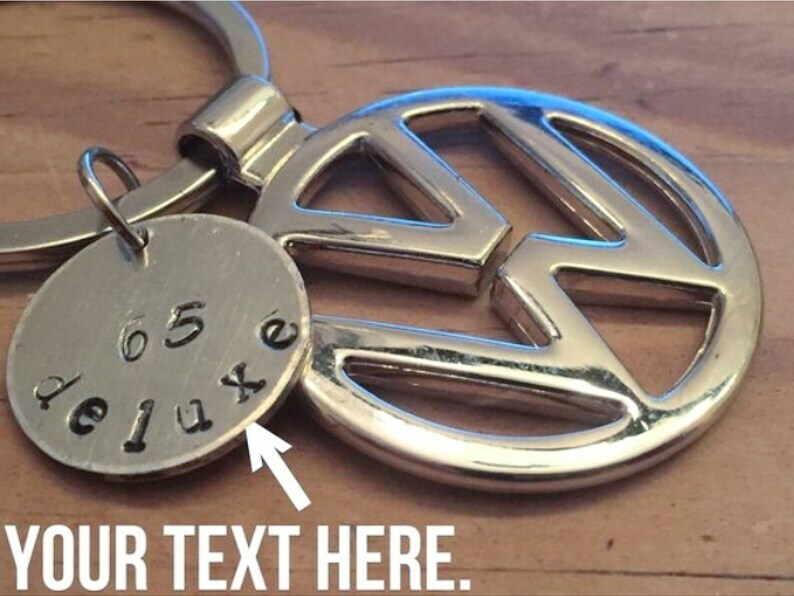 We offer silver and gold tags but both will come on a chrome chain and VW emblem. 1-2 words/numbers is best. Text can be upper or lower case. Nice item promptly shipped. Thanks! Absolutely fantastic! Just got it today and I couldn't be happier! Super accommodating store owners! Shipped in great time too. Thanks from a satisfied VW bus owner.